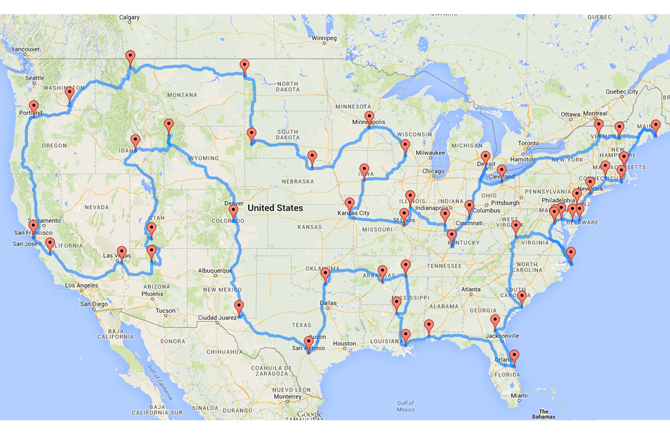 Map Of The Most Perfect US Road Trip, According To Science. 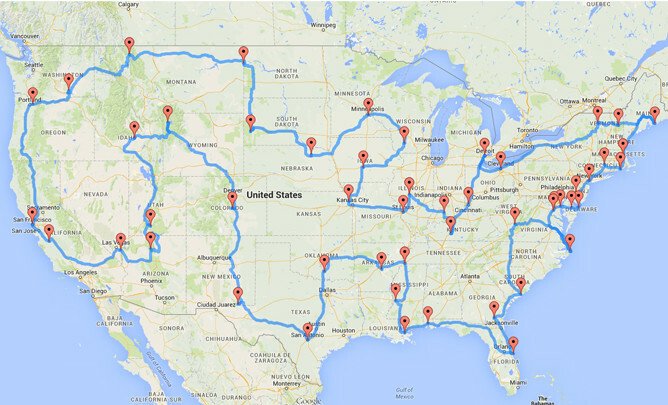 Have you ever had the hankering to take an epic road trip? Well, Get your friends and family together. Discovery News partnered with Randy Olson, a doctoral candidate at Michigan State University, to plan the perfect American road trip. 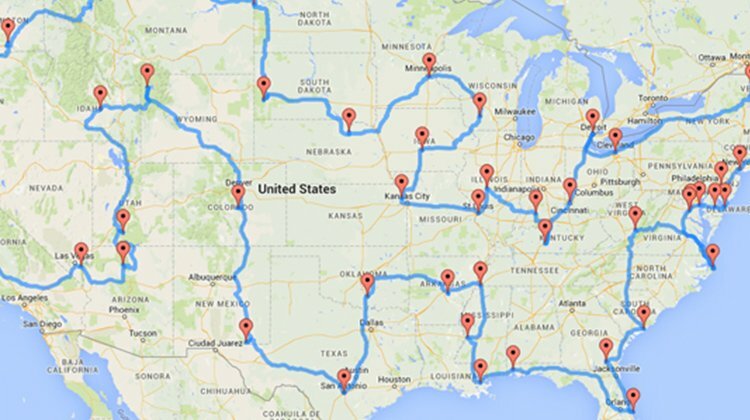 This route takes you across the continental US and lets you stop at all the famous landmarks in each and every state. If you actually plan to execute the trip, you should budget 13,699 miles of driving — or about 224 hours. Attempting to do the trip in one go would take about 9.33 days, although it would actually take 2–3 months to finish in reality. Here it is, in all it’s open road glory. Don’t even think about shortcutting or not following the map. Olson used a genetic algorithm that found the best routes with little backtracking. The result is a map using “true distance,” which is the “shortest route by road between every landmark.” You should probably take Olson’s word over anyone else’s, considering he’s a fourth-year graduate research assistant at Michigan State University. Here’s the list of destinations in it’s entirety. Let’s get on the open road! Share to start an adventure.